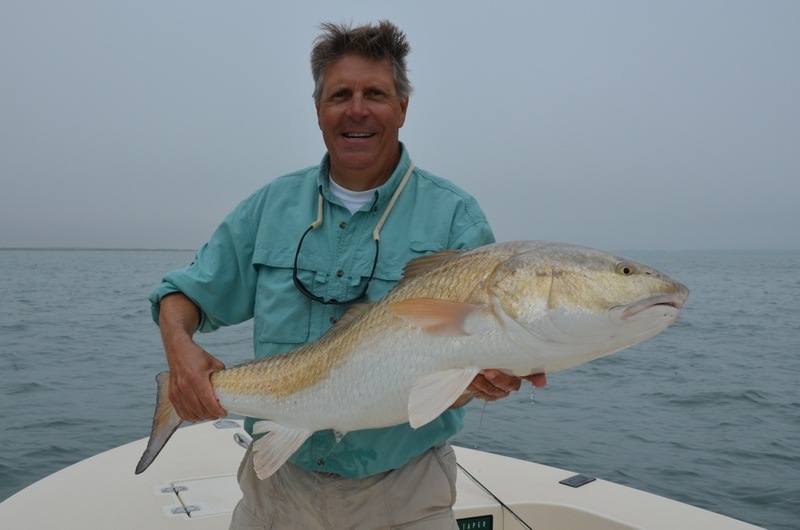 Bull red drum fishing on the Virginia Eastern Shore flats is as good as it gets! – at times. When conditions are right, this is world class fishing. 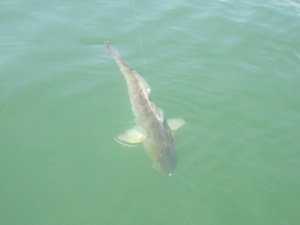 In nine days of fishing the flats and shoals at the mouth of the bay my anglers boated 11 red drum of 43 to 50 inches. All but one were caught casting artificial’s, mainly 5″ Tsunami and Storm shads. 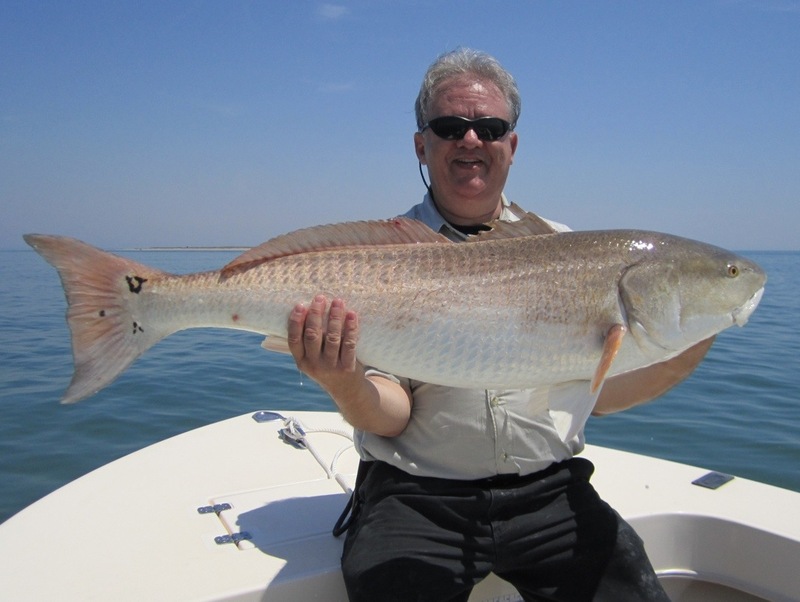 Two gorgeous 46-inch reds were landed on fly. A four-inch half & half in white was the ticket. 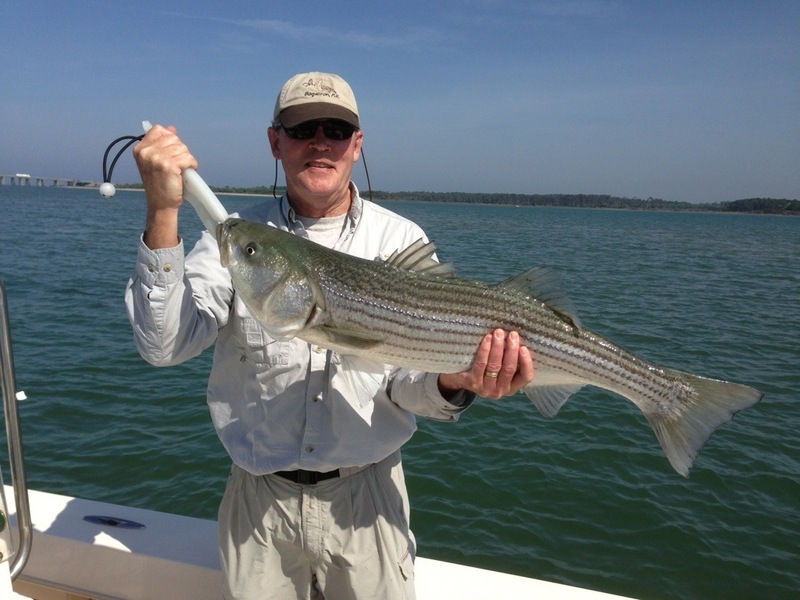 As an added bonus, we were blessed with four days of trophy stripers cruising the shallow flats of the nearby barrier islands. Looking not unlike dense schools of large bunker from a distance, upon closer observation it soon became evident this mass of fins and scales was anything but bait. This was flats fishing heaven. 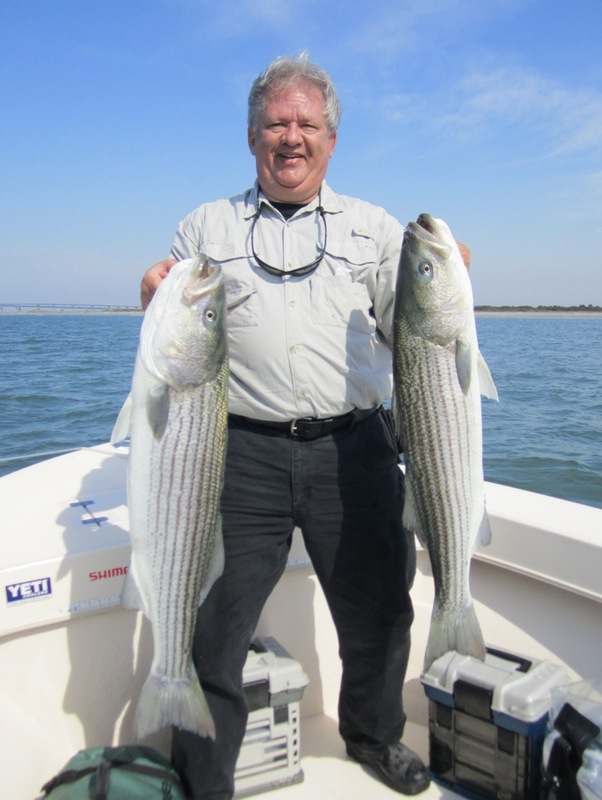 Forty-inch striped bass gently gliding around and under the boat in turquoise colored water was a site to behold. Large Stillwater poppers pulled through the tightly packed schools brought explosive strikes and long, hard runs from rockfish weighing upwards of twenty-five pounds. The Susquehanna Flats was never like this! 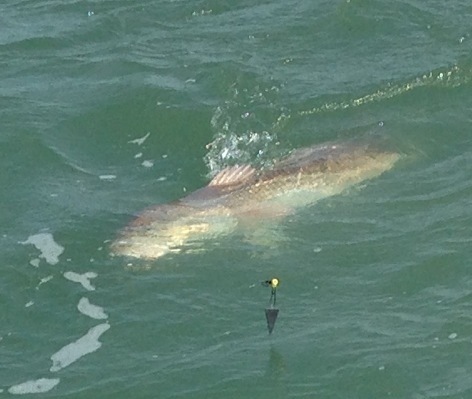 Red drum are just getting started on the eastern shore of Virginia. 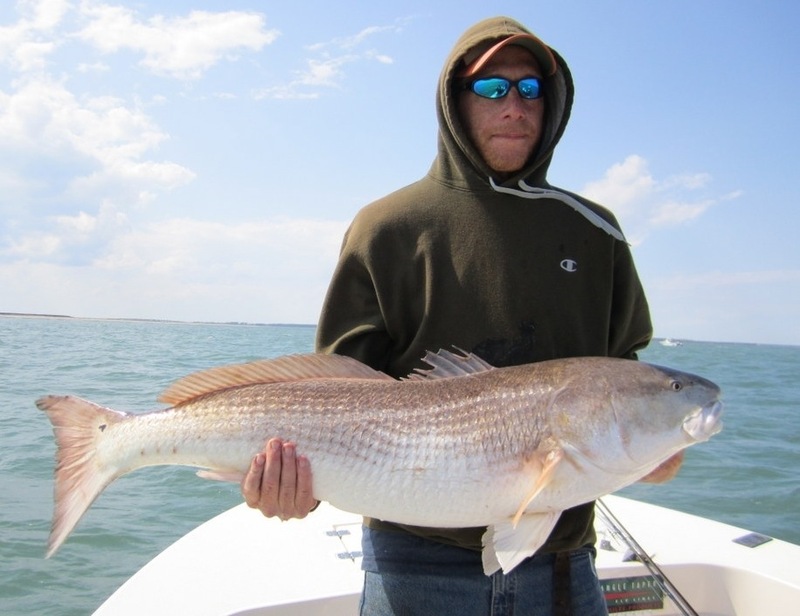 Rob McColligan managed to boat this 50-inch beauty after one heck of a battle near Fisherman’s Island. The big bull managed to get in the current between the breakers and almost spooled Rob before he managed to turn him. Shallow water drum fishing can’t be beat!